It's no secret that many things look way better online than in real life. But when it comes to getting a tattoo, making sure your design looks good beyond your feed is especially important — since tattoos are forever. 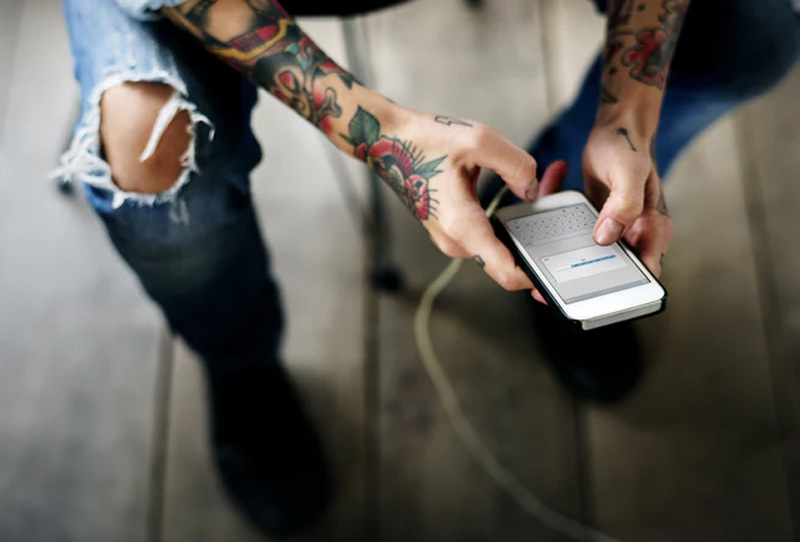 And while tattoo artists and their clients can benefit a lot from the existence of social media, it's important for you to be aware that tattoos on Instagram aren't all what they seem. Many people are showing off their fresh ink when they're posting their tattoos online. And although lots of tattoos can look really good when new, they can also get ruined pretty easily. 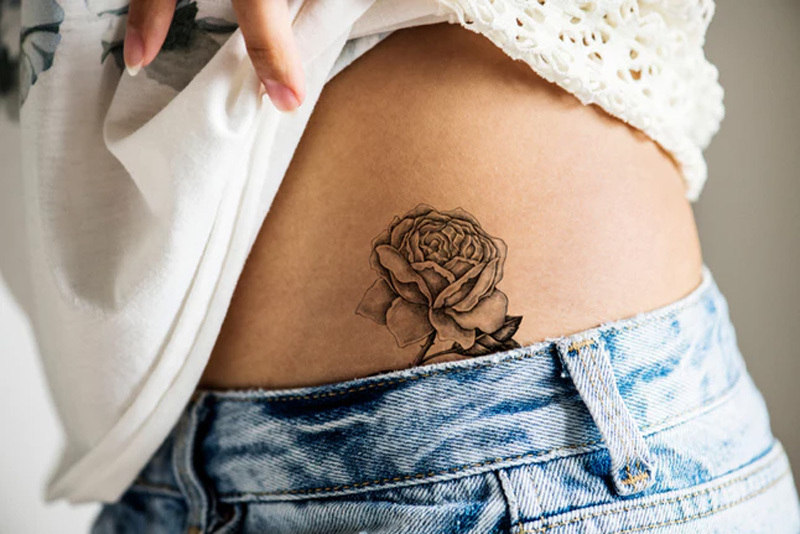 Tattoo complications, improper aftercare, and even suboptimal ink and design location, can cause a tattoo that looks great in a picture to start to look really bad in real life. Of course, for tattoo artists, this is all part of the process. Artists know that tattoos look different when they're first done versus when a client has had them for a while, and are usually pretty open to discussing this with those who are consulting with them. "Tattooers have a saying (mantra) that we hold dear — 'any imperfection will only lend to its beauty,'" tattoo artist Max Brown, tells Bustle. "Tattoos are supposed to age, the human body is supposed to age." So as long as you're willing to have an open discussion with your tattoo artist about what you want, and how that will actually work in real life, you can likely avoid the disappointment of having a tattoo that only looks good in a couple photos. You may, however, want to avoid certain kinds of tattoos that increase this likelihood. Here are 10 tattoos that look great on Instagram, but not as great in real life. Even before Ariana Grande's "BBQ grill" tattoo went viral, celebrity palm tattoos were pretty trendy. These designs, however, aren't that practical for everyday wear. "Palm tattoos look great on Instagram but terrible in real life," Tyson Weed, custom tattoo artist at Divinity Tattoo in Phoenix, AZ, tells Bustle. "The palm fades [way] faster and worse than anywhere else on your body." If you're OK with it fading, then go for it. Otherwise, you may want to decide on another location for your ink. Finger tattoos look amazing online. However, like palm tattoos, they don't heal nearly as well as tattoos on other areas of the body. 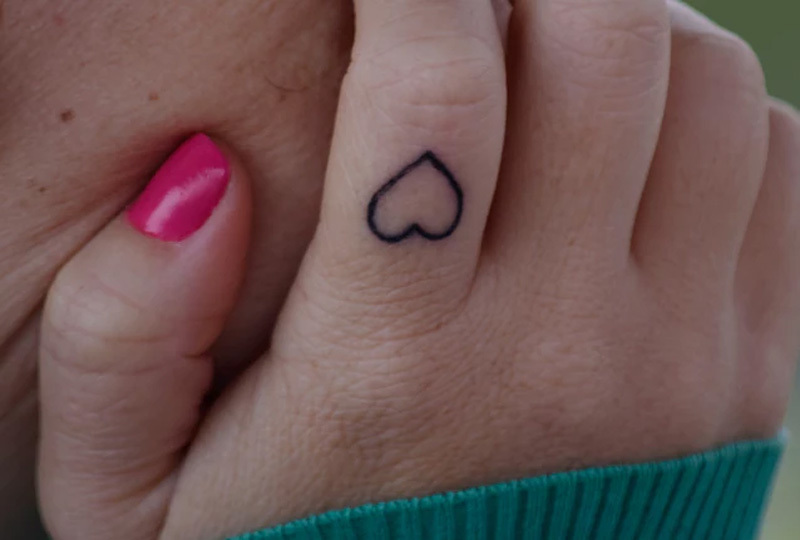 "Due to fingers having a different texture than most of the body and being possibly the most high mobility area, they tend to heal very strange and require a different technique for application," Michaelle Fiore, tattoo artists at NY Heart and Dagger, tells Bustle. "[...] It would do the world a service to have healed finger photos online so people would know to seek specialists in that arena rather than expecting all finger tattoos to be created equal." So even if you're enamored by what you've seen in your feed, this location of a tattoo still requires a lot of conversation with your artist when it comes to making a decision. Watercolor tattoos are delicate and beautiful, and definitely look amazing on Instagram, especially when contrasted with more bold and geometric designs. There is, however, a reason you don't see these tattoos as often in real life. "There is an expression 'bold will hold,'" Fiore says. "[...] As with anything, there are specialists in this style, but they generally have to saturate the areas a lot more than the average client would prefer. To compensate for longevity, it will have the transparent watercolor affect in time, but looks more like thick acrylic paint when first applied, in this instance." Fine line tattoos are another example of less-bold tattoos being more of an issue when it comes to the Instagram versus real life distinction. "These tattoos will either bleed [or] spread overtime, like your average tattoo, or will fall out in places and not look as legible as when first done," Fiore says. Doing your research and making sure you go to someone who specializes in fine line tattoos may help you avoid this style looking way worse in real life than it does when you first post it. If you capture a tattoo in an Instagram picture right after it's been done, then it's going to look way better than it will during and after the healing process, according to tattoo artists. "[Fresh] tattoos will always look better than healed tattoos," Fiore says. "They are generally more vibrant and it is before the top layers of skin have adjusted to the healing process [...] On top of that, you have to take into account how the tattoo itself has healed. Sometimes clients do not properly take care of their tattoos and the lack of moisture can cause scabbing and areas of the tattoo to fall out." So both timing and proper aftercare can affect how different your tattoo looks in Instagram versus real life. Tiny tattoos are cute and trendy. They are perfect for Instagram. In real life, though, they can get a bit worse for wear. "Tiny tattoos may look awesome in pictures when they are fresh, but the smaller the tattoo the greater your chances of it spreading over time and mushing together," tattoo artist Jordanne Le Fae, tells Bustle. "There is a huge craze right now for the tiniest tattoos, but it is my opinion that those are the ones we are going to see getting covered up in about five years." So make sure you weigh the pros and cons before committing to a tiny tattoo. Because of photoshop, not all tattoos that you see on Instagram are to be believed. 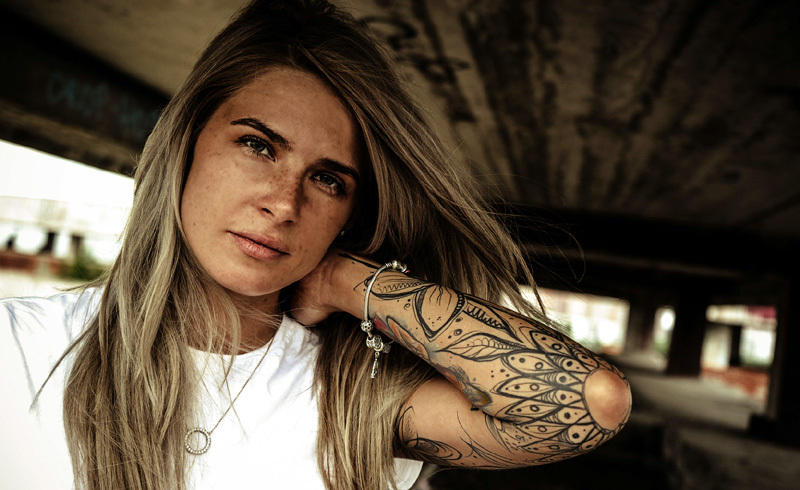 And although black and grey tattoos can look great in real life, they're not going to look anything like the heavily contrasted tattoos you'll see that have been edited. "Black and grey tattoos often look best in photos versus real life," Le Fae says. 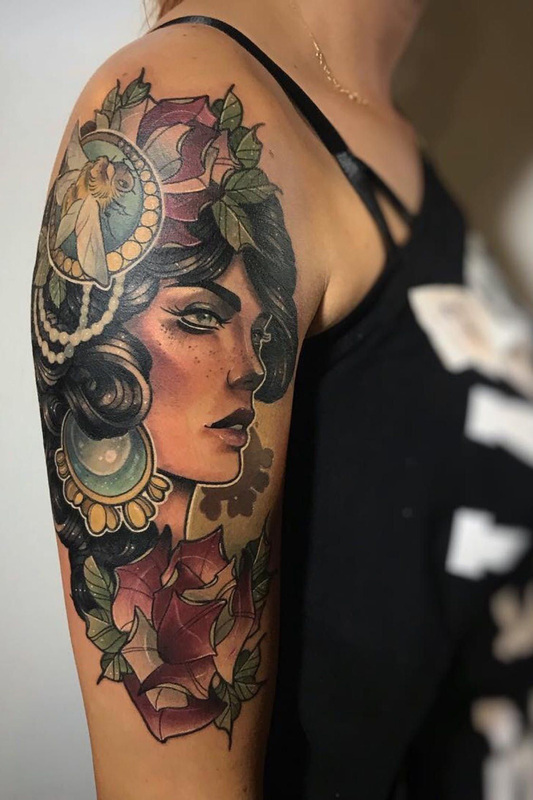 "This is not to say that a black and grey tattoo is bad, it is just very easy to adjust the contrast in a photo to make the blacks darker and make the piece more vibrant, but in real life, black and grey tattoos often heal much softer." 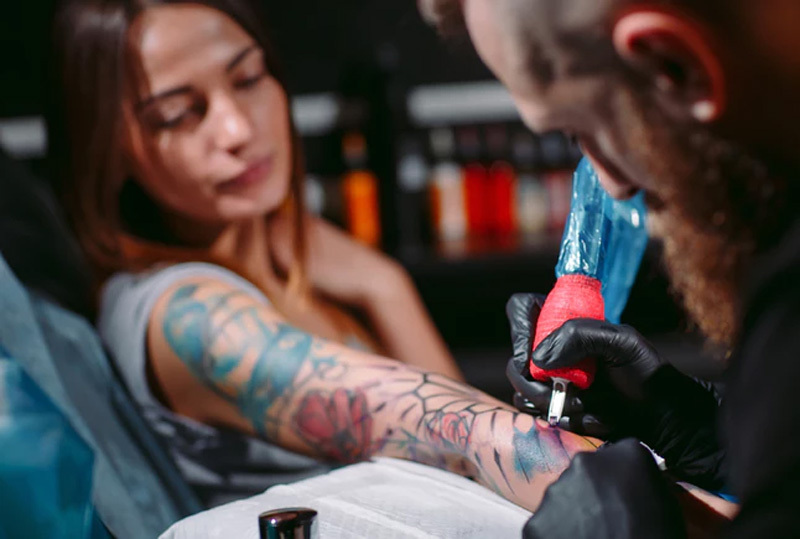 Understanding that tattoos are pieces of art that change over time, and that your skin is going to look different than a canvas, will help you adjust your expectations. While properly executed color tattoos can look great for a long time, they generally will fade faster — making them look way better on Instagram than in reality. "Color tattoos with light tints look great in the fresh context of a photo but as they settle in and become exposed to the elements, the lighter colors fade quicker than [dark ones]," Brown says. "Darker colors have proven their lightfastness over time." Aftercare can help you prevent your light colored tattoo from looking lackluster as it heals. 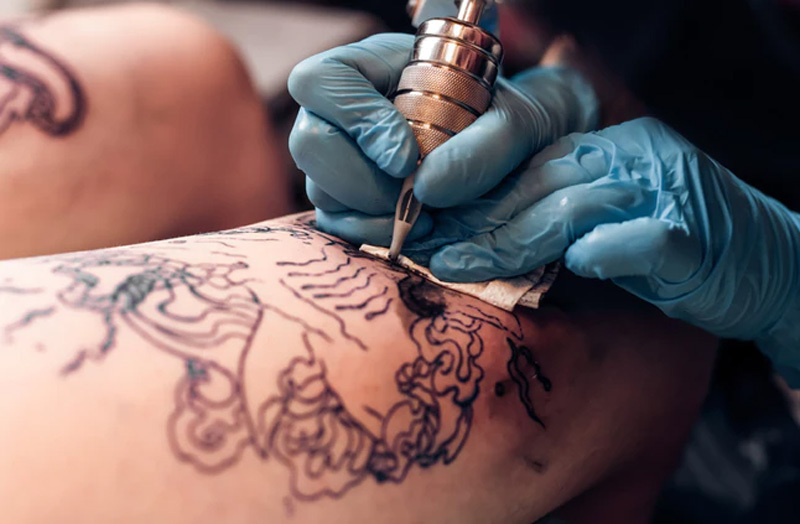 If you're going to go for a tattoo with color, tattoo artists recommend that you include at least some black ink if you want to avoid the tattoo looking great only in an Instagram post. "Tattoos without black ink tend to fade unevenly and without the black lines to anchor, can become soft and fuzzy and difficult to read once healed and aged, especially in high exposure areas of the body [like] arms, hands, [and] necks," Brown says. If you don't want to add black lines to your tattoo, you may want to avoid getting a tattoo anywhere where you get sunburns, cuts, or bruises. While having hair doesn't make a tattoo any less cool, it's still worth considering how you want to deal with grooming the area you're getting your tattoo. What you see online may be freshly done and shaven, and you may not realize what the same tattoo may look like down the line. "With brand new tattoos, you're viewing pigment open and fresh in the skin versus healed with two layers of skin, pigment, [and] hair as the filter," Brown says. "The hashtag #healedandhairy exists for a reason and gives a great reference for changes in tattoos over time." A "healed and hairy" tattoo often still looks great; but not understanding these changes could be an issue if you want something that looks straight-from-Instagram. In the end, most of what accounts for the difference between a tattoo online and in real life (other than Photoshop) is how it heals. 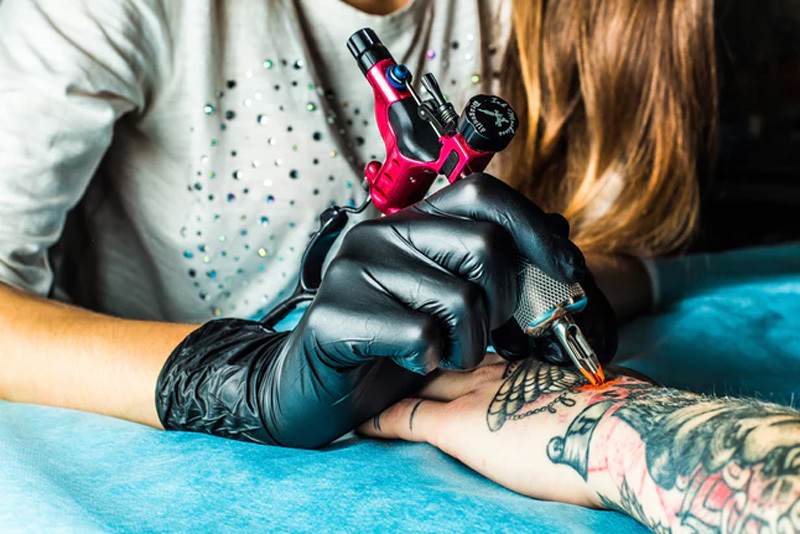 As long as you're aware of fading and other variables, and are willing to get creative with your artist when it comes to design and color, you are more likely to avoid and unfortunate bait-and-switch between an Instagram tattoo and one that's on your body.